Dave, my boyfriend, loves Korean BBQ. His best friend from childhood introduced him to the culture and food, and i could easily say its his favorite type of food. 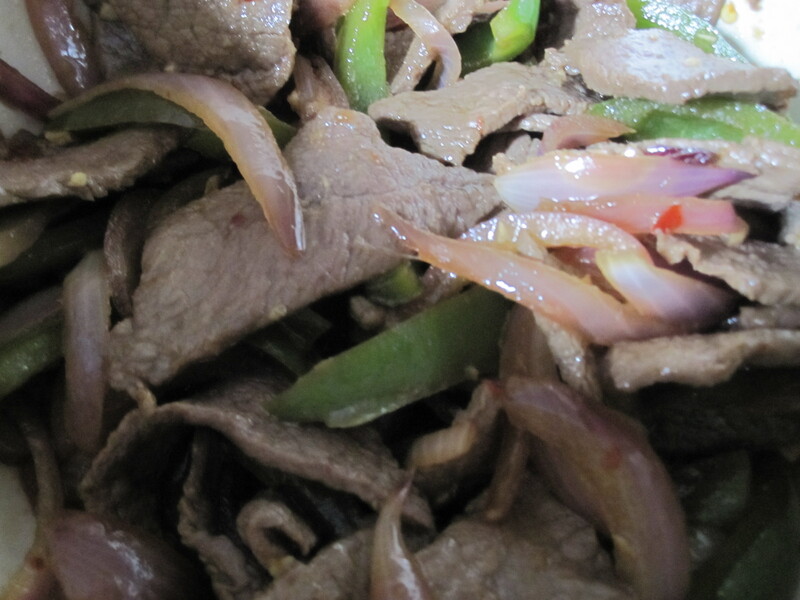 I decided to try to make Beef Bulgogi. 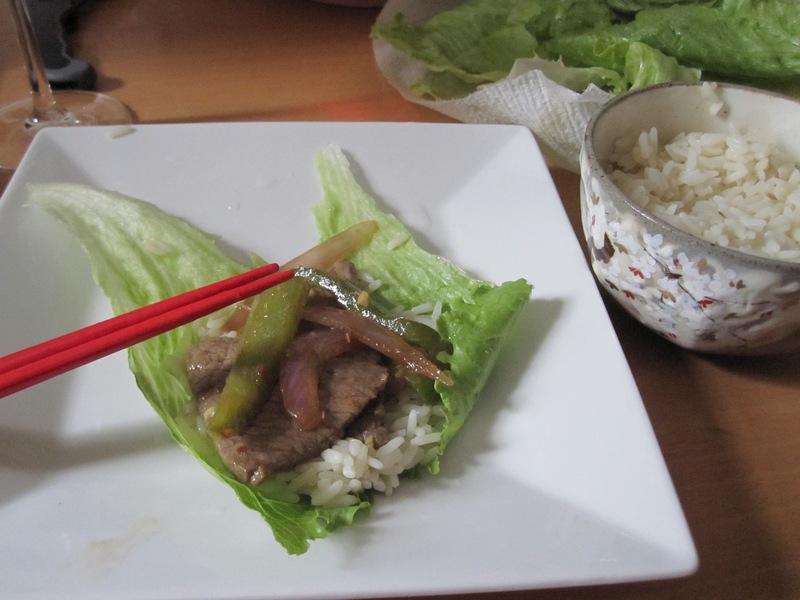 We usually go to Madangsui in NYC for Korean BBQ in K-Town with his friends, and this recipe tasted so similar, I shocked myself! If you bought rib-eye, slice diagonally across the grain and slice into 1/8 inch thick strips. Otherwise, slice the meat of your choice. 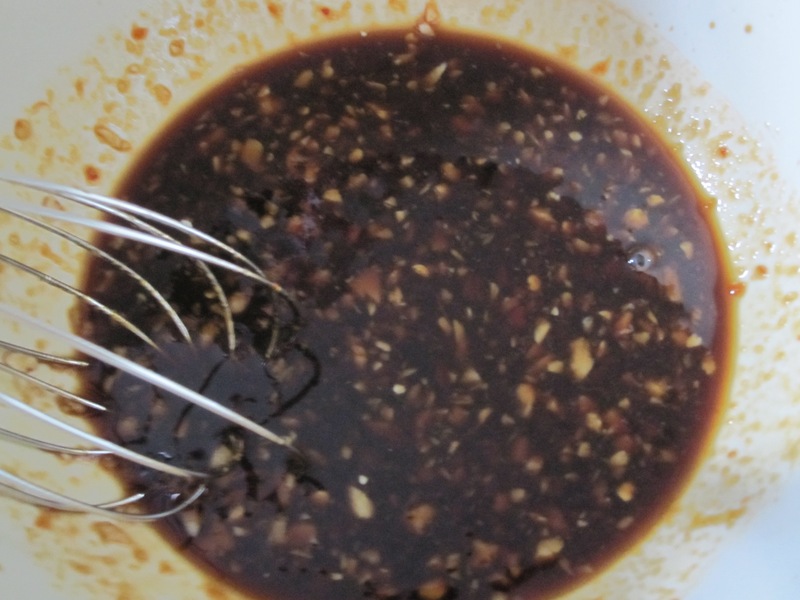 In a small bowl, whisk together the soy sauce, chili paste, brown sugar, garlic, and ginger. 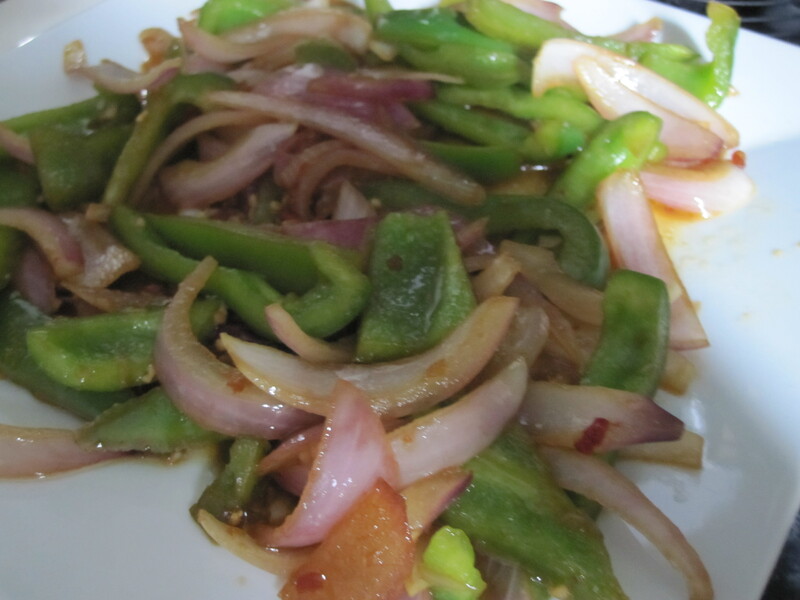 Place the sliced onions and peppers in a small bowl and toss with half of the marinade. 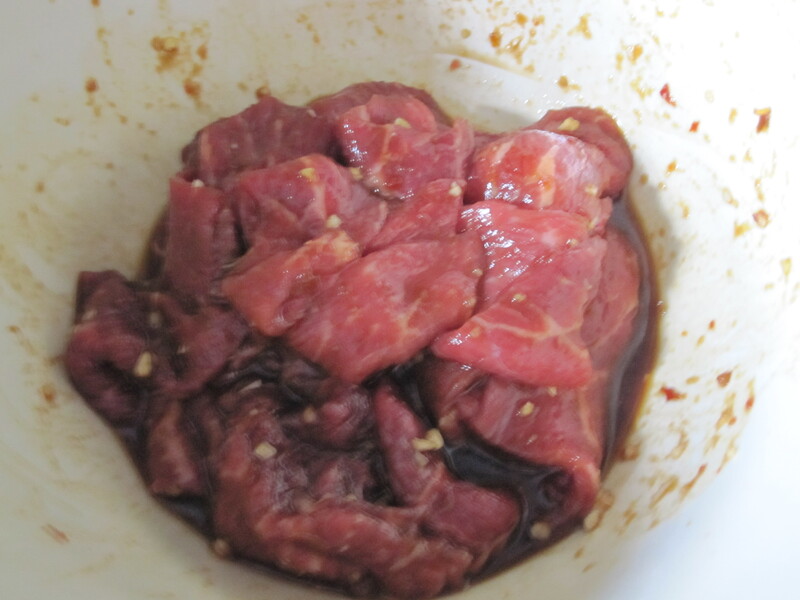 Toss the steak in with the remaining marinade and let sit for 15-20 minutes. Heat 2 teaspoons of the vegetable oil on medium-high heat in a non-stick skillet. 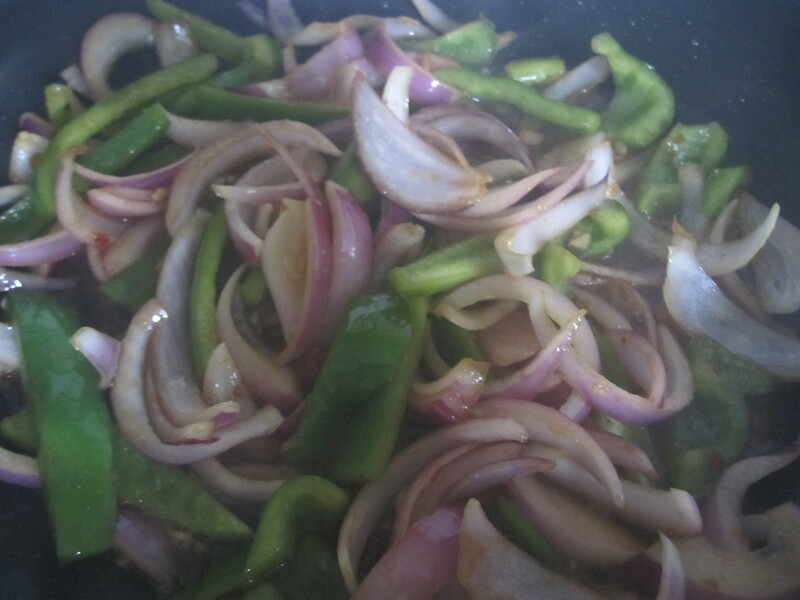 Add the onions and peppers and cook until softened (5 mins or so). Transfer to a plate and wipe the skillet with a paper towel. 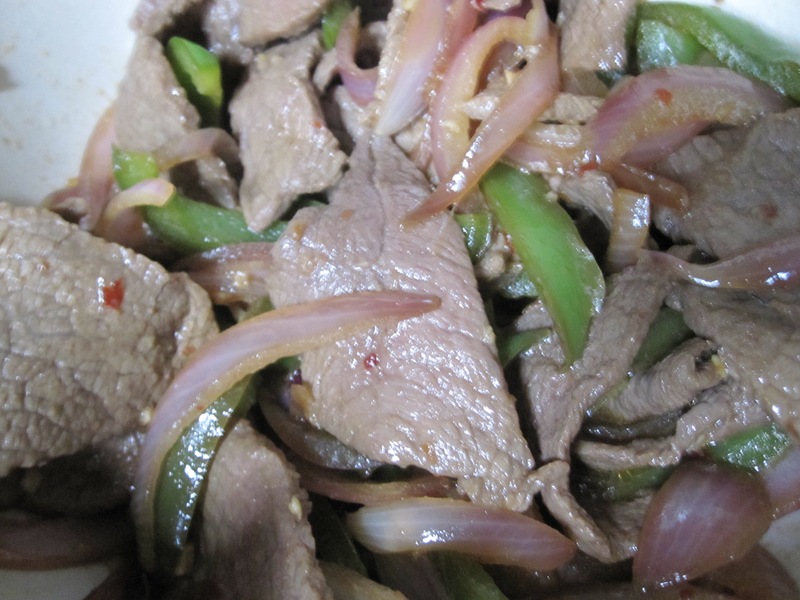 Heat the remaining 2 teaspoons of oil and cook half the meat, turning constantly. 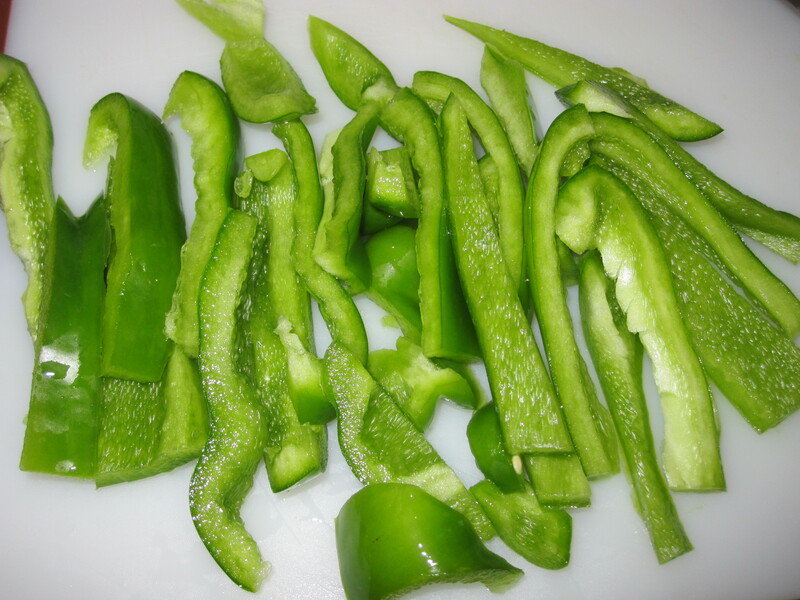 Try not to overcook, once both sides are browned remove from heat onto a plate. 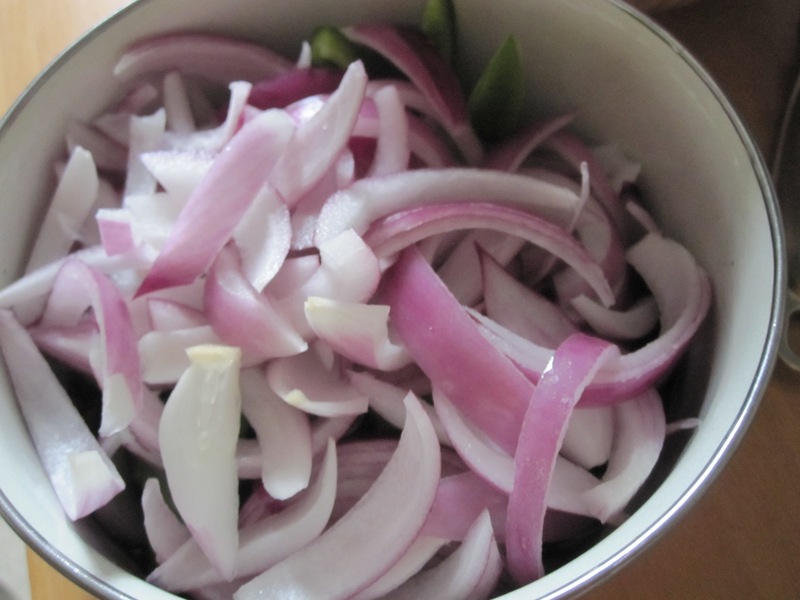 Repeat with the rest of the meat, and then combine onions, peppers, and meat into a platter (or you can keep them separate, up to you). 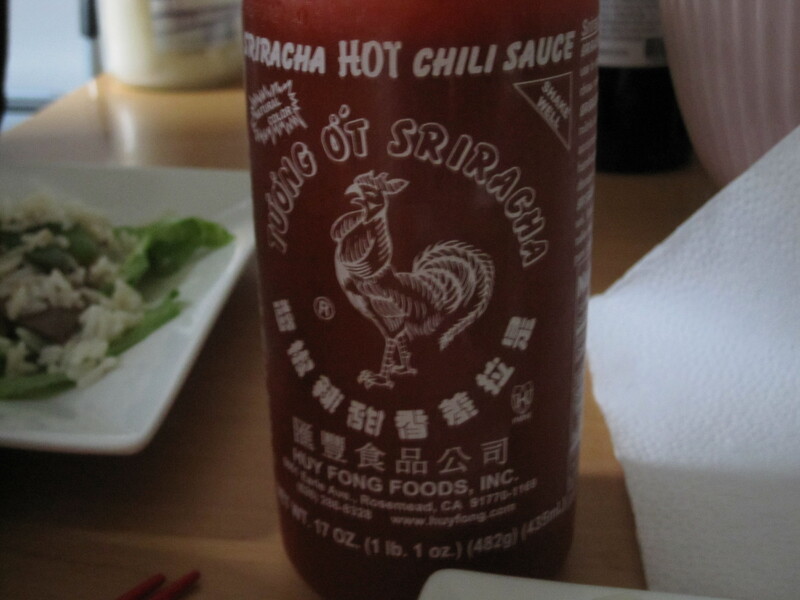 Serve with lettuce wraps, sticky white rice, and sriracha sauce if you like more spice. P.S. How cute are my little rice bowls? They’re from Asia!!! !